Education Minister Anthony Garcia says school indiscipline and violence has been down in both Trinidad and Tobago due to interventions by the Government. He made the comment while responding to a question in Senate yesterday from Opposition Senator Wade Mark on measures being taken to address the many incidents of bullying in Tobago. 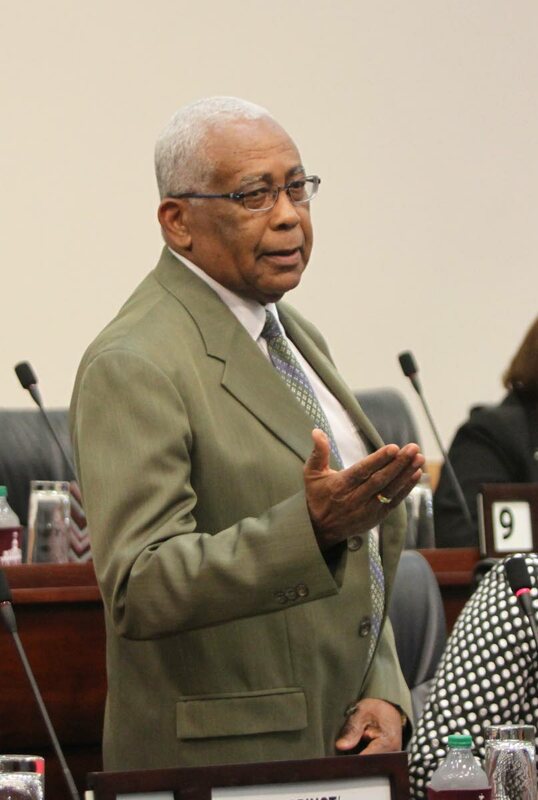 Garcia said the administration of schools in Tobago was under the purview of the Division of Education, Innovation and Energy in the Tobago House of Assembly and the Chief Secretary had commissioned a committee to devise a policy to deal with the issue of bullying in schools. He reported in the interim the following measures were being undertaken by division to address the issue: a number of preventative programmes including conflict resolution, communication skills and problem solving provided by guidance officers; school social workers doing counselling and programmes such as anger management and PTAs have been engaged to sensitise parents; and system of supervision involving key personnel in schools has been enhanced to minimise the incidence of bullying; systems put in place to ensure safety starts at the school gate with the establishment of proper protocols for anyone entering the school compound and the use of specific strategies to mitigate the likelihood of bullying; teachers and heads of departments trained in areas such as classroom management, conflict resolution and problem solving skills to better treat with students’ behaviour. Mark asked what were the positive outcomes from these measures and Garcia responded the ministry has seen a decline in indiscipline and violence in schools in Trinidad and Tobago because of these measures. Also during the question session Mark asked about measuresbeing taken to address the shortage of pathologists at the Forensic Science Centre. Minister in the Office of the Prime Minister Stuart Young said following the resignation of Valery Alexandrov the position of pathologist had been advertised but only received one application and the person had not concluded their studies. He added that Government had engaged an international body to assist and if the position needed to be re-advertised that would be done. Reply to "School indiscipline, violence down"